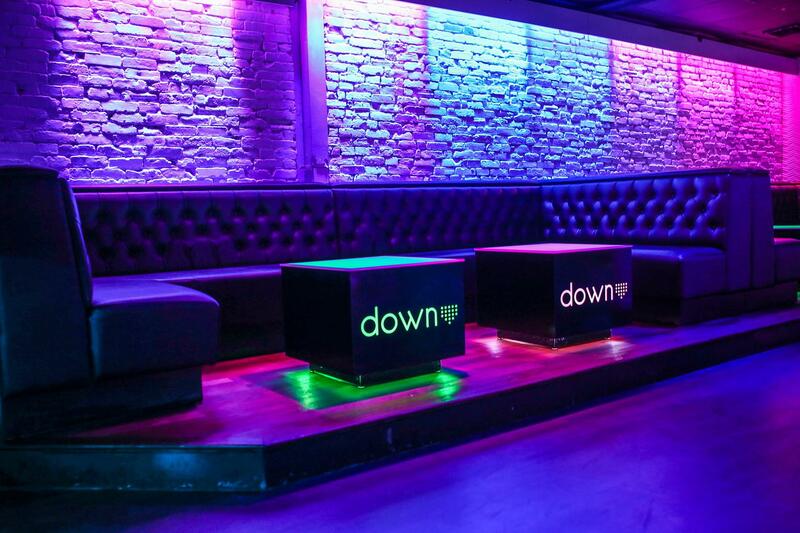 Rent Down Ultra Lounge | Corporate Events | Wedding Locations, Event Spaces and Party Venues. Down Boston is available for private events from 20 to 200 guests in our 2000 square foot space. Need more room? No worries, we’re two venues in one. You can book both Down Boston and Howl at the Moon for larger events. Open layout makes it easy to create a custom event such as a presentation, casino night, or cocktail party! In-house entertainment options include background music, DJ or a live, two-player rock and roll piano show. State of the art sound and LED lighting system. 6 flat screen TVs available for your company logo, slideshow or presentation. Private bar, full catering and drink packages available. A variety of optional amenities such as photo booths, ice sculptures or customized cocktails passed to guests upon arrival.